As you know, I love a pom pom or three. 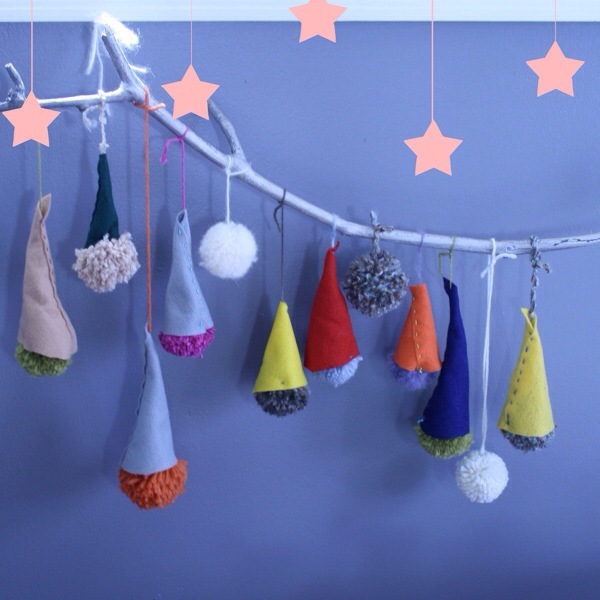 I am using pom poms as my advent calendar, making a pom pom a day and hanging it on. 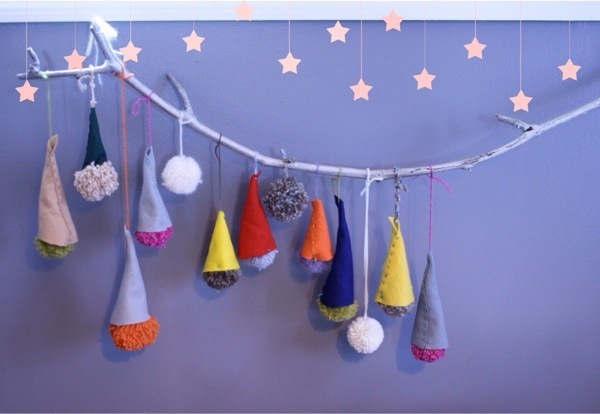 This idea soon turned into pom pom elves! This is how the elves are looking so far, with a few snowballs thrown in. 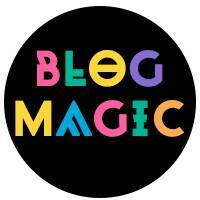 Want to make your very own elf or pack of elves? They can adorn your tree or hang anywhere you want. I have been making the elves in different sizes and the hats turn out as big or long as the fabric allows and I decide. So, grab a pom pom maker (I use cut out circles for mine), some yarn, some felt, embroidery thread and a nice big needle and off we go. 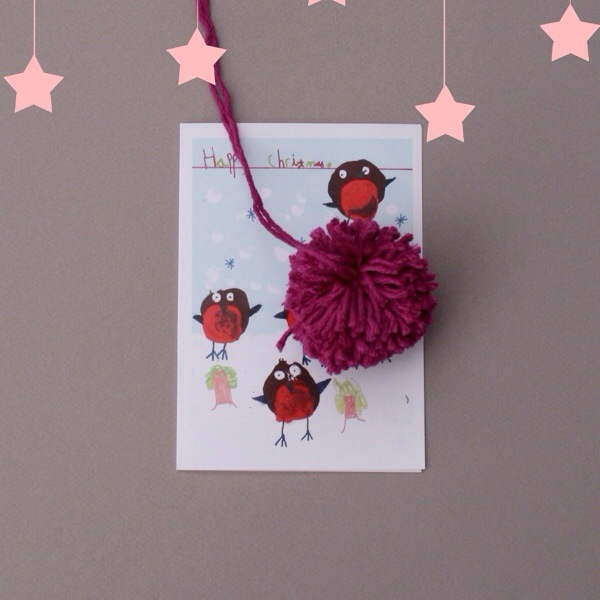 Make a nice pom pom using some fab yarn. Leave a nice long length for hanging your cute elf up. Cut out a triangle of felt with the bottom edge long enough to go around your pom pom, make it as tall or short as you want. With some pretty embroidery thread, sew up the hat from the top down, you might need to pin it together before you sew. Finish sewing just before the bottom edge, don’t finish off here, you will need the thread to sew the hat to the pom pom. 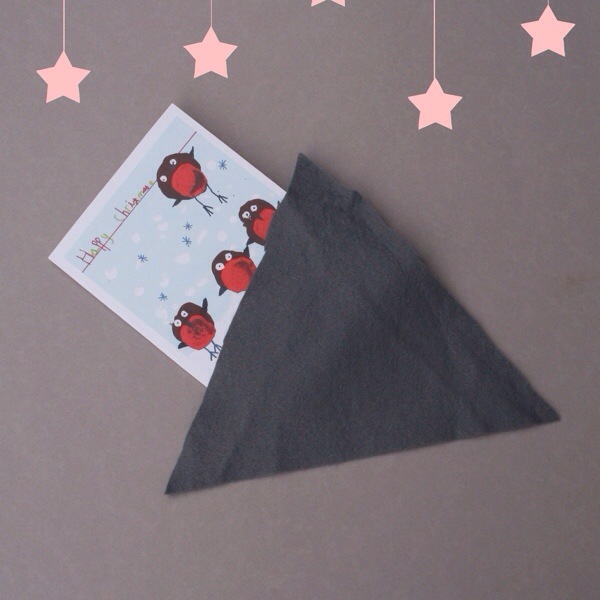 Trim the bottom edge to make it even, or of course you can leave it with a little pointy back. Thread the yarn from the pom pom up through the top of the hat (I use a giant needle for this). 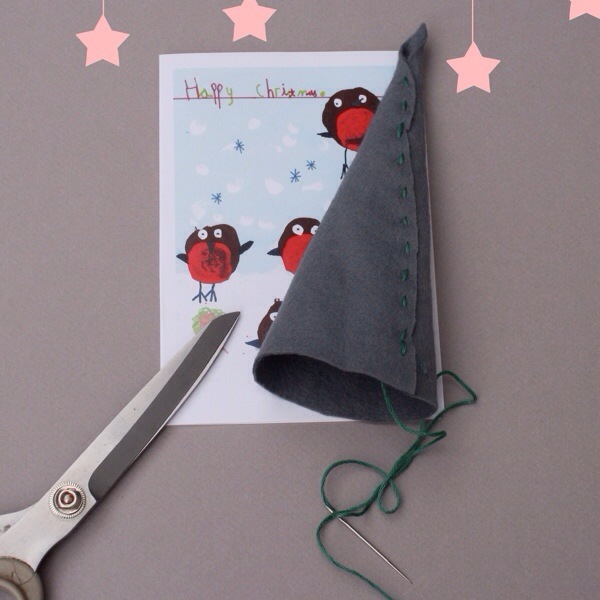 Use the embroidery thread on the hat to sew the hat to the pom pom, pulling the hat down as far as you want. 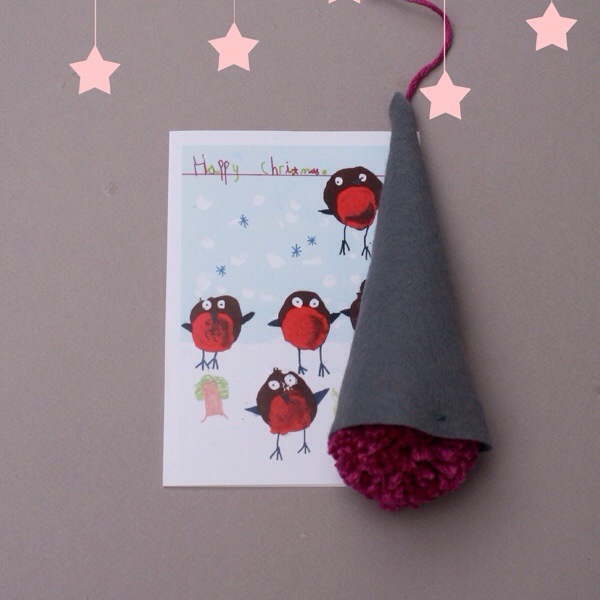 Finish off the ends and make a hoop from the wool to hang your new helper on the tree or on your calendar. They are going to look super cute when I have 24 elves and snowballs! 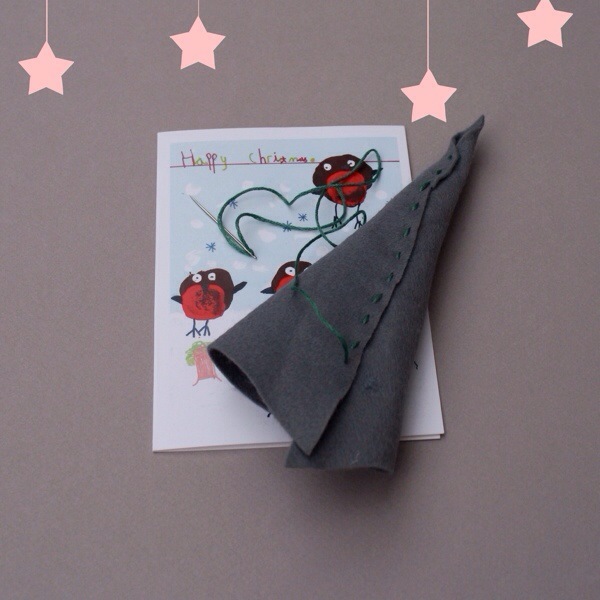 Special thanks goes to my nephew in the UK who designed this gorgeous Christmas card!